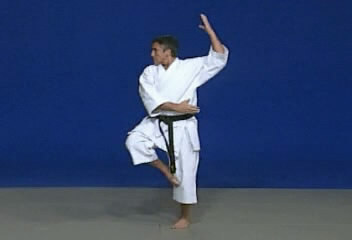 Unsu kata performed by Akio Tamashiro from Peru. 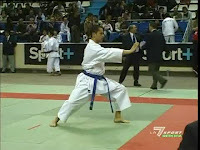 This kata was performed in 1st match for 3rd place in WKF tournaments (Finland) in 2006. A Kururunfa kata performed by Miia Nietosvuori from Finland. 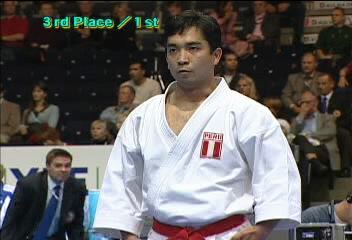 This kata was perfomed in WKF tournament in 1st semifinal (2006). 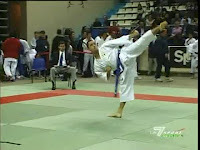 Kururunfa | Performer: Miia Nietosvuori | Duration: 00:01:48 | Format: mpg | Video Size: 17,6 MB | Source : karate-do.co.jp | Player: Windows Media Player or Media Player Classic. 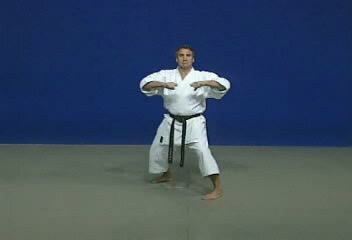 A tutorial of Jitte kata from Shotokan version performed by Serge Chouraqui. The first part of this video repeated from 2 angles.